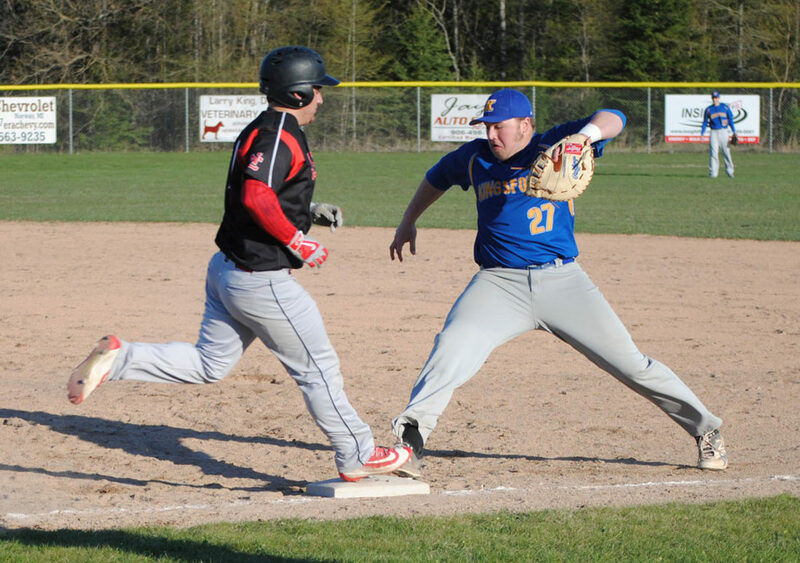 HERMANSVILLE — The North Central baseball team survived a comeback attempt from Kingsford to pull out a 10-9 Skyline Conference victory Thursday. The Jets (5-4) racked up 11 hits with Seth Polfus, Dawson Bilski and Ben Snyder picking up two hits each. North Central stormed out of the gate as it scored one run in each of its first three innings to take an early 3-0 lead. The Jets then added four runs in the fourth inning and three in the fifth. Bilski pitched six and a third innings striking out seven and walking one. He had a perfect game going through four innings before Kingsford (4-8, 2-2 SC) rallied all the way back and pulled within one run in the top of the seventh inning. Bobby Kleiman came on in relief of Bilski, pitching the last two-thirds of the seventh inning to stifle Kingsford’s comeback. Three errors helped the Jets score the five fourth-inning runs. “Our errors have been killing us but the balls were hit hard in that inning,” Lindeman said. Kingsford starter Austin VanPembrook pitched into the fifth inning and Marcus Maraccini finished up. They struck out seven and walked two. 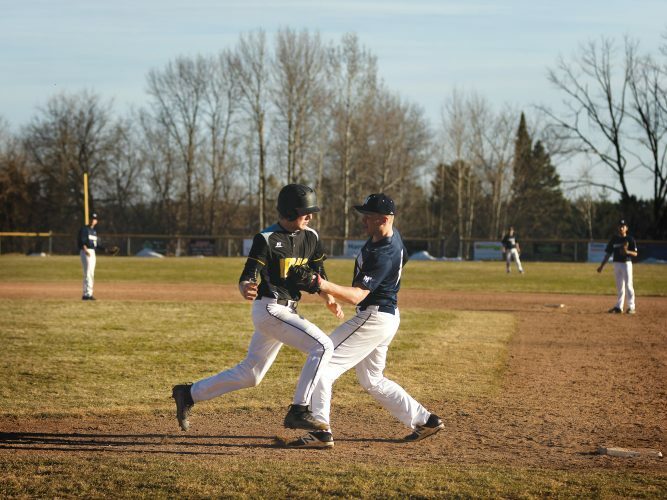 Flivvers’ Joe Murvich doubled and singled while Hunter Lindeman added two singles. Trailing 10-6 entering the final inning, Noah Wilcox led off with a double. Jacob Henes hit a ball with the bases-loaded that was caught at the fence in the seventh. 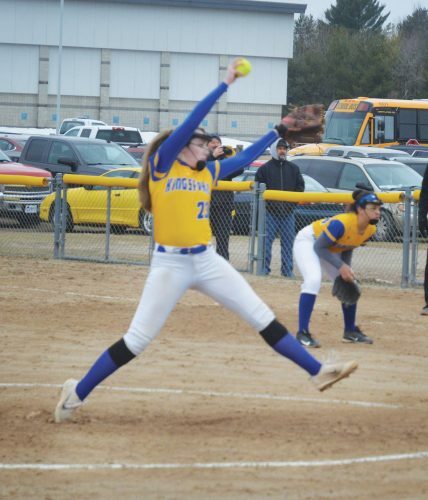 Kingsford visits Superior Central today and visits Iron Mountain on Monday. North Central travels to Superior Central for a doubleheader Monday.